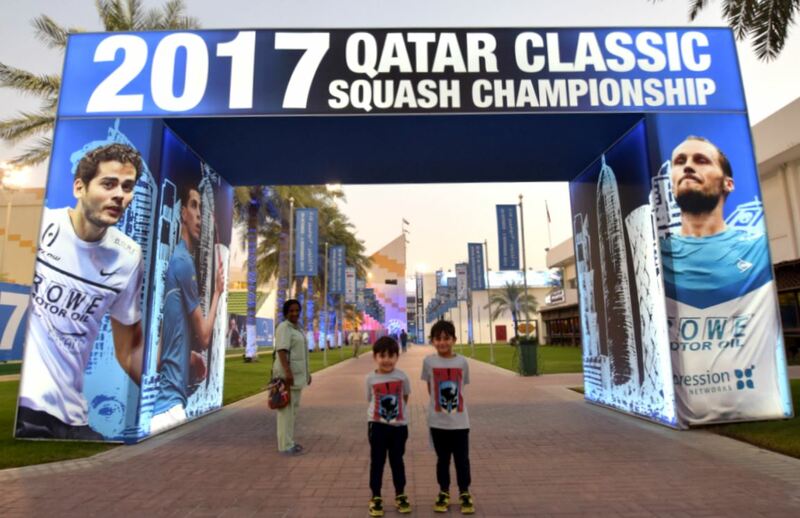 There were no upsets on the second day of Qatar Classic first round action at the Khalifa International Tennis and Squash Complex in Doha, but none of today’s winners had an easy passage into the last sixteen. The first three matches all finished in four games with Australia’s Cameron Pilley, Egypt’s Tarek Momen and France’s Mathieu Castagnet all made to work hard to reach round two. 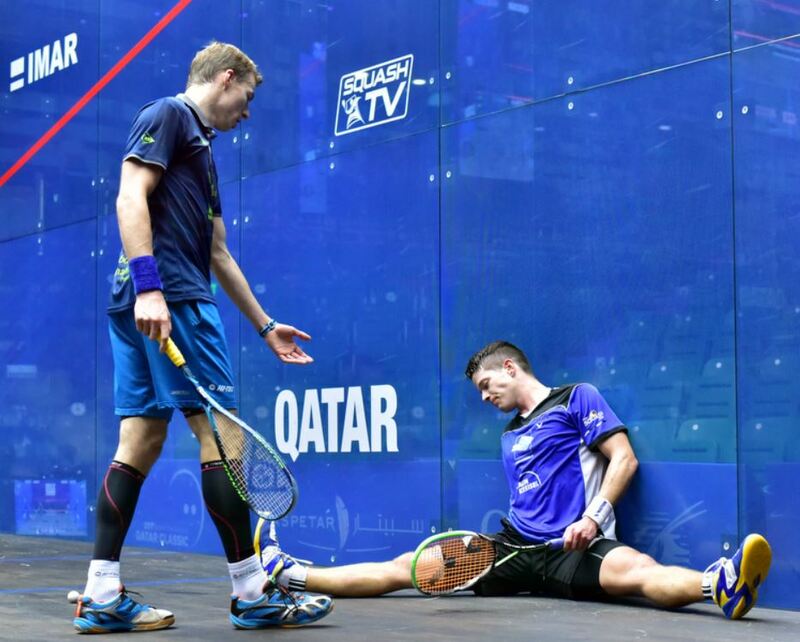 Former champion Nick Matthew had the biggest scare as he took the opening two games against qualifier Raphael Kandra – although the German had chances in both – only to lose the next two, and at 8-all in the fifth an early finish to the three-time world champion’s last Qatar Classic looked on the cards. Matthew found the extra he needed at the end though, to keep his 12th Doha campaign on track. The evening session started with a marathon five-setter between Omar Mosaad and Miguel Rodriguez, both unseeded but both recently in the world’s top ten. The match swung one way then the other, both having chances as four of the games went to extra points, but in the end it was the big Egyptian Mosaad who prevailed over the nimble Colombian, 14-12 in the fifth after 108 minutes! Marwan Elshorbagy put a run of poor recent results behind him as he came from a game down to beat Kiwi Paul Coll, joining his big brother Mohamed in the next round. Defending Champion Karim Abdel Gawad made it seven Egyptians in the last sixteen as he recovered from a typical slow start to beat Borja Golan in four games, but the feisty Spaniard had chances to force a decider before Gawad sealed the win 16-14 in the fourth. “He is a tough player, he is extremely fit, great skills,” said Gawad, “he is very quick to the front corner, and that’s my game so he put me under a lot of pressure tonight. Simon Rosner looked to be easing throuh to claim the final spot in tomorrow’s matches as he went two games up, but Hong Kong qualifier Tsz Fung Yip pulled a game back forcing the German to reassert to claim a four game victory. Round two, eight matches on the Glass Court, starts at noon on Tuesday.